Blue is one of the rarest color in nature, along with one of many gardeners favorite. This must have something to do with rarity creating desire. 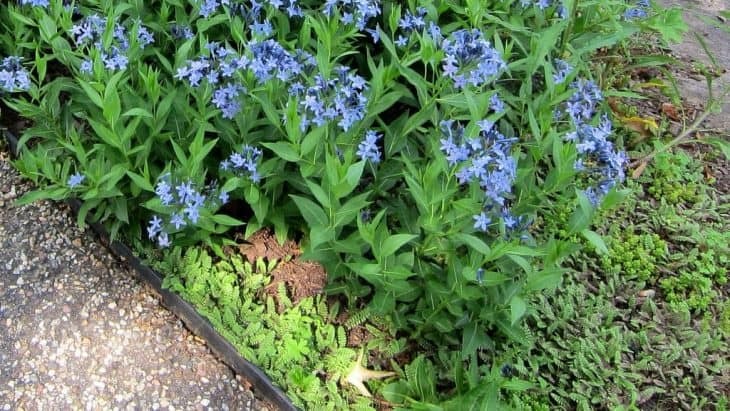 Planting blue perennials in your garden can do wonders, and break the dullness of the more traditional color schemes. I have created this extensive list of perennials with blue flowers. How do you order such an extensive list? Good question. To keep this list as objective as possible, I have ordered the list alphabetically. Included are blue perennials for shade, blue perennials for full sun and blue perennials for ground cover. Read the descriptions for more information. 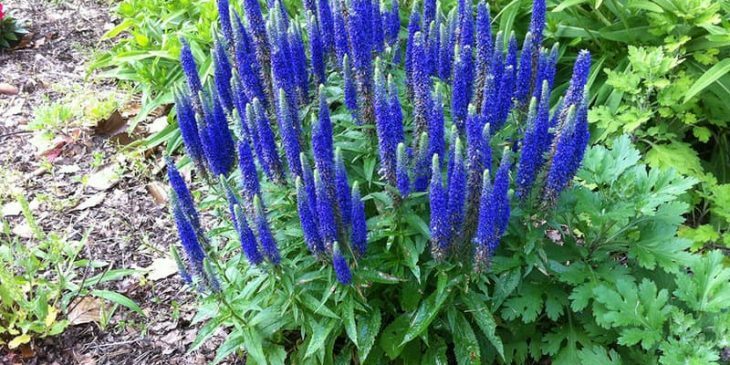 The winner of several international awards, this beautiful azure-blue perennial blooms in early to middle fall and goes great with the dark green foliage. Growing up to five feet in height, this blue perennial prefers full sun or partial shade and they are resistant to both deer and rabbits. They do best in zones 3-8 and look great in borders and beds. They also do well regardless of the pH level of your soil. 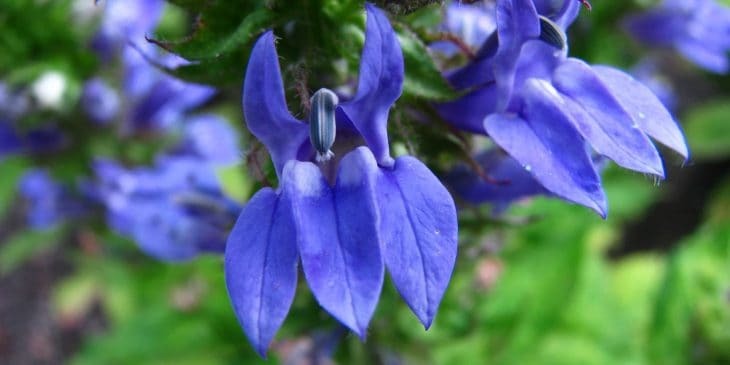 This is a hybrid perennial that contains gorgeous, spiky, blue-violet petals and gets up to three feet in height. Best when grown in zones 7-10, Agapanthus “Stevie’s Wonder” will attract hummingbirds and has long, slender leaves that go perfectly with its bulb-shaped head. 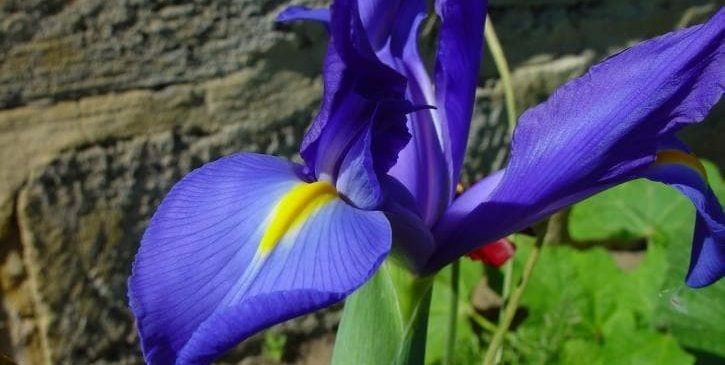 They do great in full or partial sun and they are the perfect addition to any garden, thanks to their unique and eye-catching blue appearance. Originating from Europe, this perennial has deep purple rosettes and leaves that are crinkled with a spinach-like appearance. They grow an abundance of these tiny blue flowers and they do best in zones 3-8. 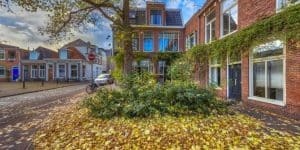 One of their most unique characteristics is their ability to do well even in very hot and humid climates, making them perfect for southern homes. They bloom in late spring and are roughly three inches tall. With dark blue-lavender petals and beautiful glossy leaves, the Blue Ice is fairly short, growing to only 12” to 15” high. Its foliage turns a warm yellow-gold color in the fall and it blooms in late spring to early summer. 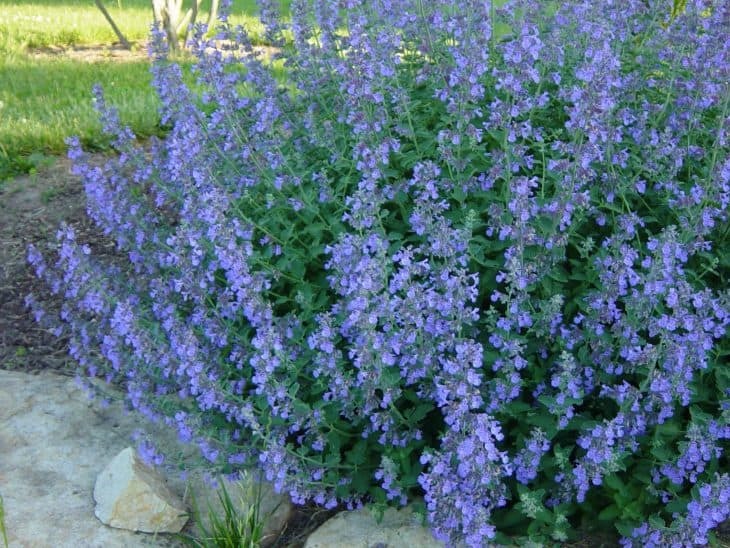 It is a low-maintenance blue perennial that does well in vases and containers and it is deer-resistant as well. It is also great for attracting butterflies and it is considered a low-maintenance plant, which makes it great for beginning gardeners. These gorgeous periwinkle-colored flowers sit on top of long stems that get up to 30” in height. They grow best in zones 4-9 and they are both deer-resistant and tolerant of heat. The Amsonia Tabernaemontana “Storm Cloud” has green and olive-green foliage and blooms in late spring to early summer. Indeed, this is a very low-maintenance perennial that looks good in everything from borders to landscaping and it is even good for beginning gardeners. Best when grown in zones 3-7, the Stand by Me gets up to 38” high and has bell-shaped petals of dark bluish-purple and a lighter trim. It blooms from late spring to middle summer and does best in soil that is either alkaline or neutral. You can use mulch to keep the plant moist and it is perfect when placed in containers, in vases, and used as a border plant. 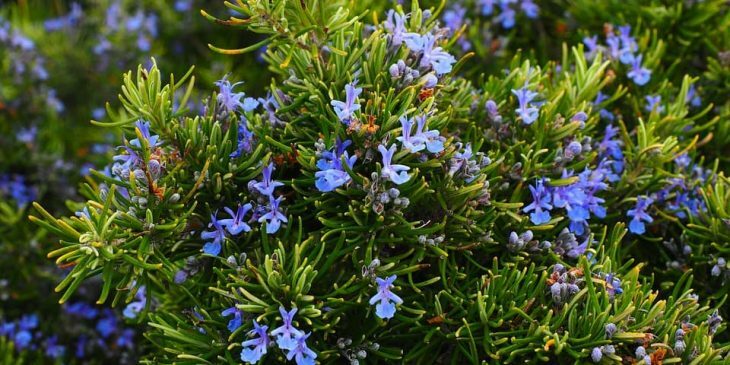 Growing in the open in many places in California, this beautiful perennial plant grows clusters of bright-blue flowers and oblong-shaped evergreen leaves. 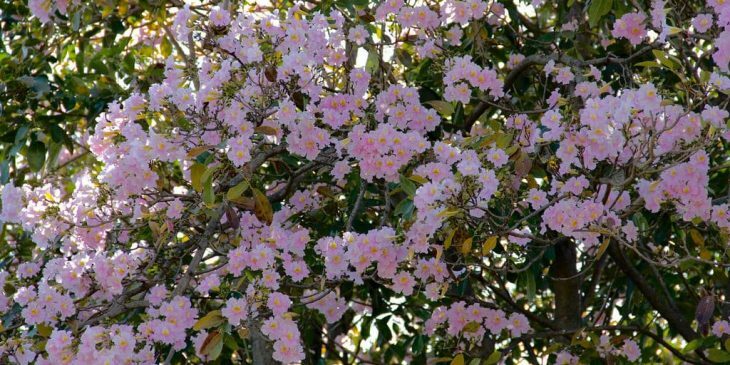 It gets quite large — up to 16 feet — and it blooms in late winter to early spring. It is a low-maintenance plant that is resistant to deer and it is perfect when used as a hedge or even when planted along a bank. 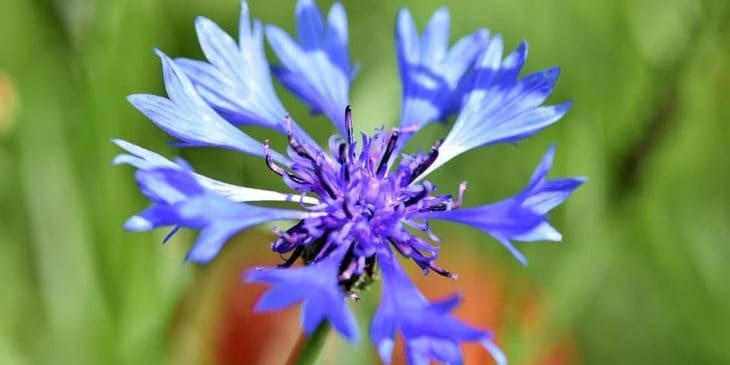 Also known as the cornflower or the basket flower, this blue perennial has large violet-blue petals that are spiky and have fringes for extra show. Centaurea Montana gets up to two feet in height and blooms in late spring. Best when planted in zones 3-8, the Centaurea Montana are easy, low-maintenance perennials with thistle-like blooms and foliage that comes in different colors and shapes. With a deep blue color and center of gold, this perennial grows on vines that get to roughly seven feet in height. It is easily trained to grow into trellises and fences and it needs full sun to look its best. The Brother Stefan blooms in early to middle summer and does best in zones 4-10. Its stunning color does well by itself or when planted with other colors and it has eye-catching fluted edges that people will notice. 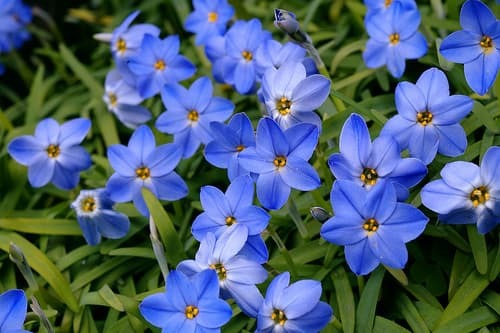 These beautiful sapphire-blue perennials face upwards and look similar to tulips. Their emerald-green foliage shows off the gorgeous petals and they are very elegant, growing up to 20” in height. 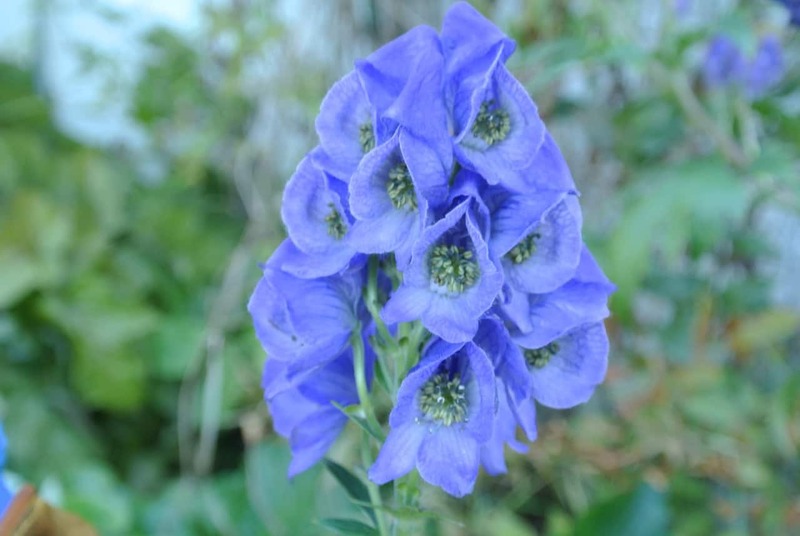 The True Blue are deer-resistant and look great with other dark blue flowers. They bloom in middle summer to early fall and prefer full sun, although they should be protected from too much sun and humidity. 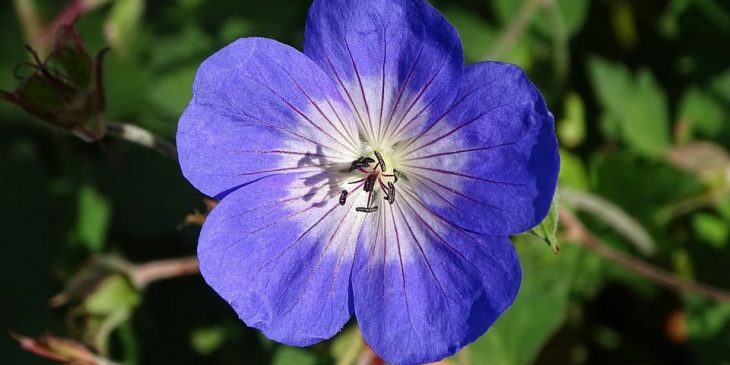 Growing to roughly 20” in height, this beautiful blue perennial has streaks of darker purple within its petals and turns a gorgeous red in the fall. It blooms a very long time, in part because of its tolerance to heat, and it starts to bloom in late spring to early summer. The Rozanne is easy to grow and does best with organic soil that stays very moist. It is also perfect for attracting butterflies. Best when grown in zones 10-11, this perennial gets up to 12 feet high and has beautiful, showy blue flowers and evergreen leaves. It is drought-tolerant and does best in full sun or partial shade. The flowers are star-shaped and quite small, only around one inch in diameter, and because they grow slowly, they are the perfect blue plants to put in containers. They also make the perfect ornamental lawn tree. Best when grown in zones 5-9, the Ipheion Peregrinans “Rolf Fiedler” has beautiful lilac-colored petals and a gold center. They do well in either partial or full sun and their light green leaves have a scent that resembles onions. 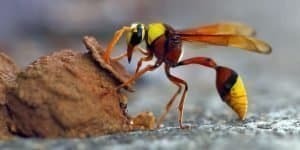 They get up to six inches high and look fantastic when placed under deciduous trees and in various places on your lawn. 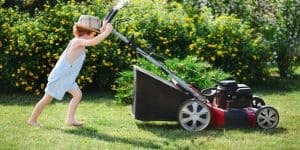 Because the flowers don’t need any deadheading or weeding, they are low-maintenance and therefore perfect for beginning gardeners. 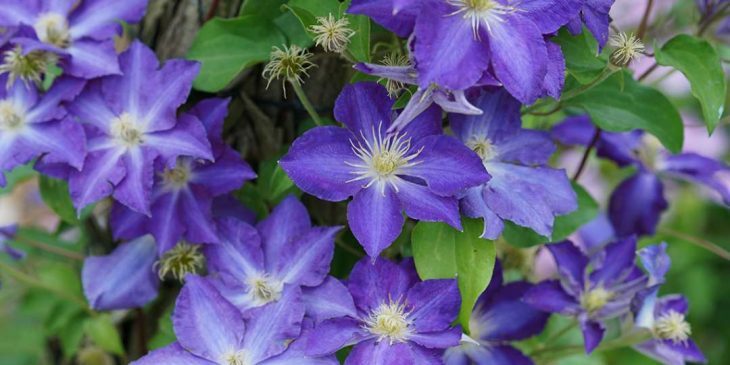 These are very showy deep blue plants with large lilac-colored petals and broad leaves that complement them perfectly. They grow low to the ground, usually getting no more than six inches high, and they are resistant to deer. They usually bloom in April and they have gold-crested falls in their petals. 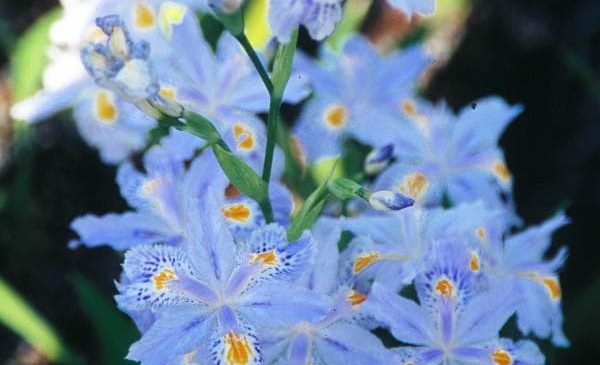 Often called the dwarf crested iris, these perennials look great as ground cover. Originating from Japan, the Iris Japonica “Eco Easter” has lilac-colored petals highlighted in white and gold in the center of the petals. They do best in zones 7-10, and they can grow up to one foot in height. They are low-maintenance perennials; in fact, you can even plant them in a low shady spot in your yard and they will still grow well. Blooming from March to May, these blue perennials have large petals in a beautiful lilac color, which become a tad bit darker near the center. They grow up to one foot in height and they grow very well in a variety of conditions. The Jeffersonia dubia does best in zones 4-9 and its lobed leaves complement the petals perfectly. 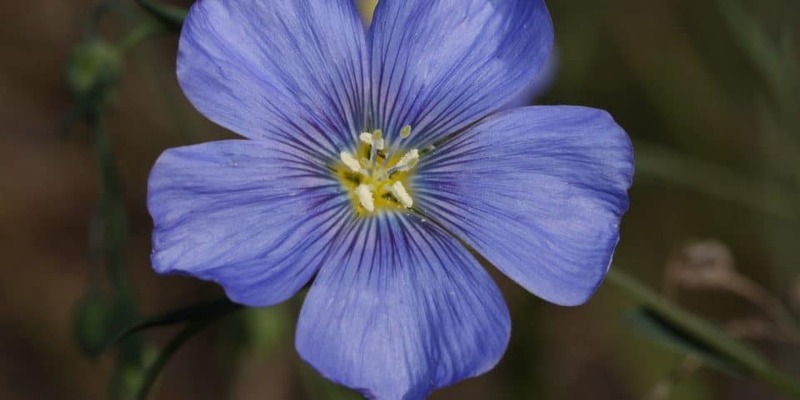 Also known as the Lewis Flax or the Blue Flax, this perennial is native to western North America and has petals that are pale blue or lavender and sometimes white in color. They also have spiral-shaped leaves and five distinct petals on each flower. The plant is perfect for higher elevations as well because it can grow in elevations up to 11,000 feet. 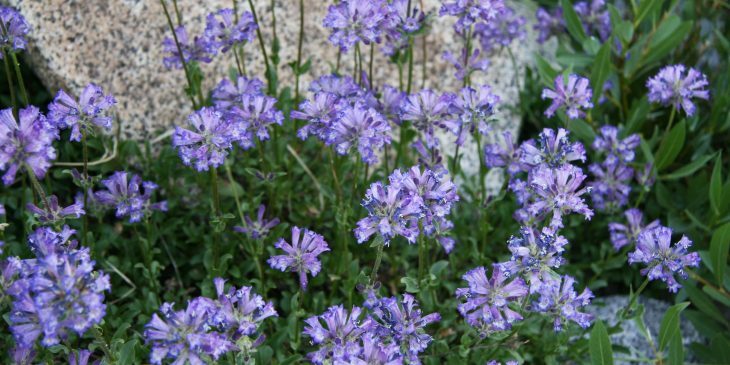 Also called Blue Selection, this beautiful bluish-purple perennial is stout and has large flower heads. They are deer-resistant and attract both hummingbirds and butterflies. They also do best in zones 3-9, especially if you give them a spot that has a lot of moisture year-around. These flowers grow up to three feet high and bloom in middle summer to early fall. You can even find them growing naturally alongside streams and ditches. 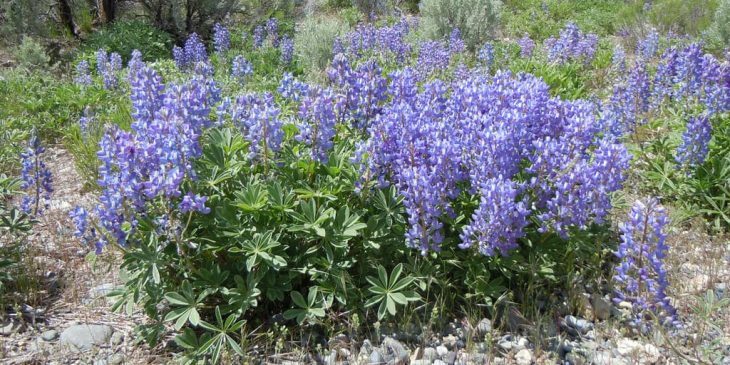 Also called the Silvery Lupine, the Lupinus Argenteus is a stalk-like plant with patches of violet, pea-like flowers, and stems that get up to eight inches in height. They bloom in June and July and have foliage that is greyish-green in color. Butterflies love this flower but the plants can be toxic to humans and caution should therefore be used. Birds also love them. Best when grown in zones 4-8, the Myosotis Palustris “Southern Blues” plant consists of tiny lilac-colored flowers with gold centers. They have rather broad leaves and grow up to around eight inches. A type of forget-me-not, they make beautiful ground cover and are deer-resistant. You can plant them in either a shallow water pool or in soil that is average and not too dry. They are perfect for growers in warm climates. Despite its name, this gorgeous perennial grows up to 30” in height. 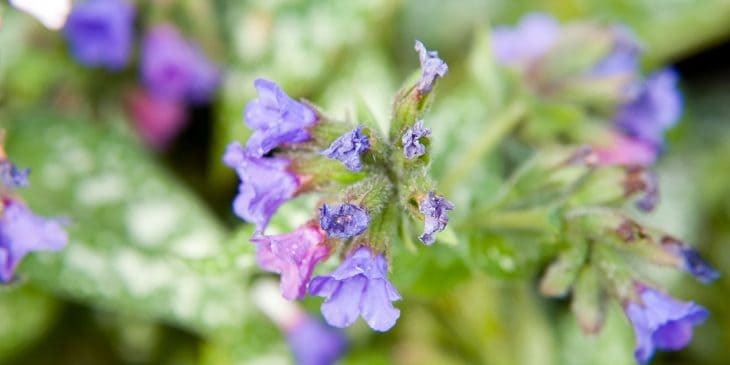 It consists of many small, blue-violet flowers and is popular with cats because it works similarly to catnip. Hummingbirds and butterflies also love it and it blooms in early to middle summer. The Walker’s Low works best in zones 3-8 and it is resistant to both deer and rabbits. 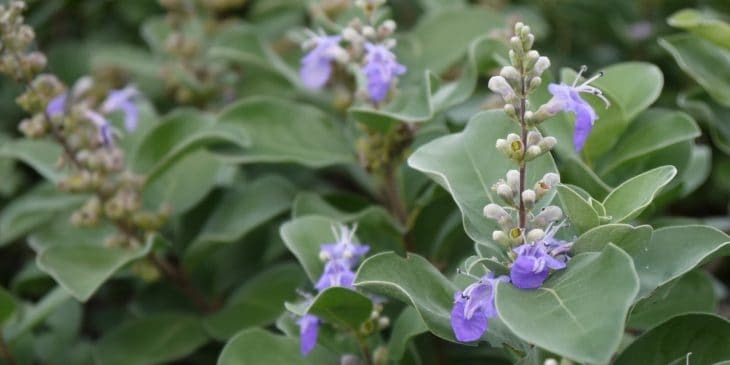 It is a showy plant with aromatic greenish-grey foliage, which complements it beautifully. 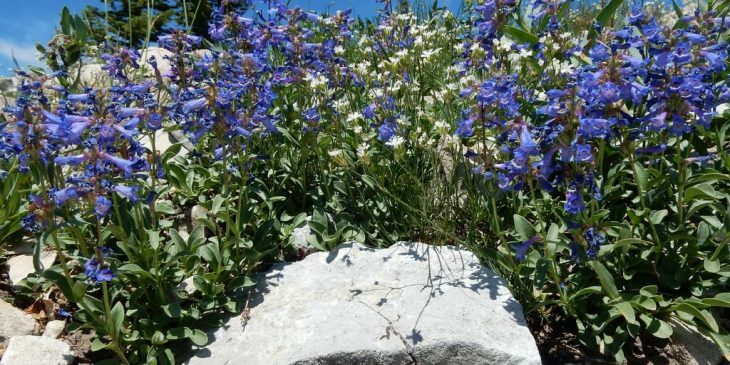 Native to western Canada as well as Idaho and Montana, the Penstemon albertinus does best in dry, rocky places and even in some high elevations. 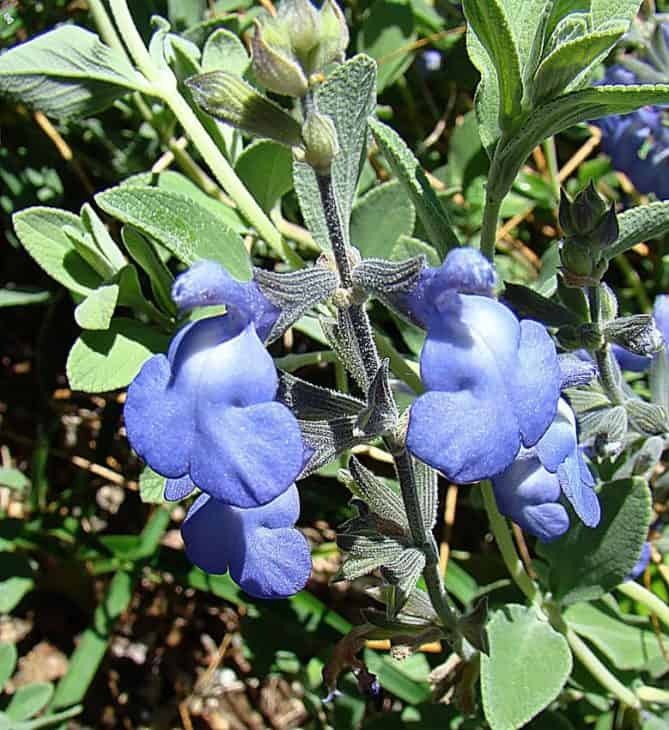 Also known as the Beardtongue, this flower will attract hummingbirds and bees. 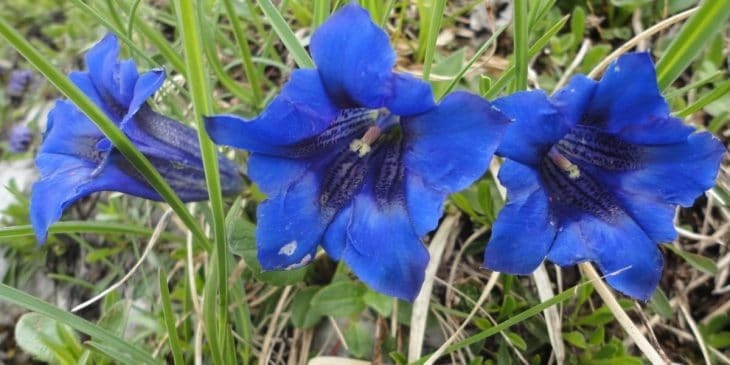 It has tubular flowers that are usually pink, blue, purple, or even red in color. They grow to three feet tall and are very low-maintenance. 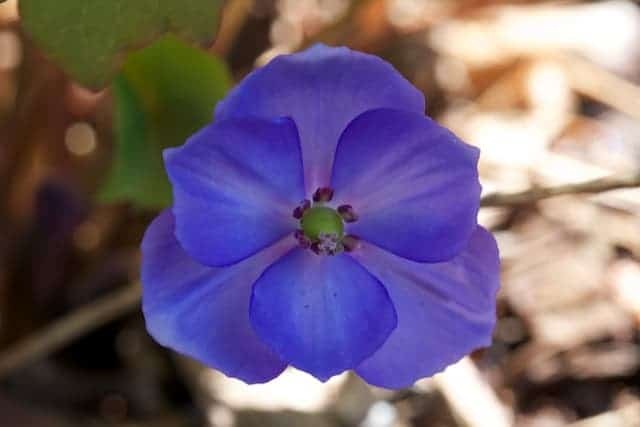 With purple, tubular-shaped petals that are roughly half an inch long, this blue perennial has elliptic-shaped leaves and distinct rosettes at the base of the plant. They bloom mostly during the summer months and they can get up to 28” in many instances. They prefer sun or partial shade and although they prefer moist soil, they can tolerate dry soil easily. 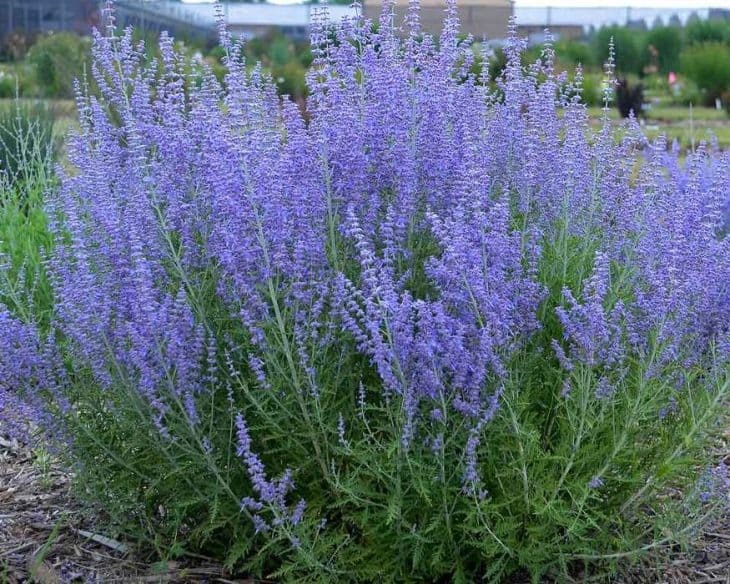 Also called Russian Sage, this perennial with blue flowers thrives in the hottest parts of the summer. With lavender-blue flowers and greenish-grey foliage that smells wonderful, it is one flower that is guaranteed to be noticed. The Blue Jean Baby gets up to 34” in height and does best in zones 4-9. 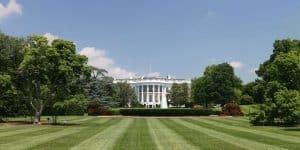 In addition to being tolerant to heat, it is also deer- and rabbit-resistant and is perfect for planting on a bank or slope. 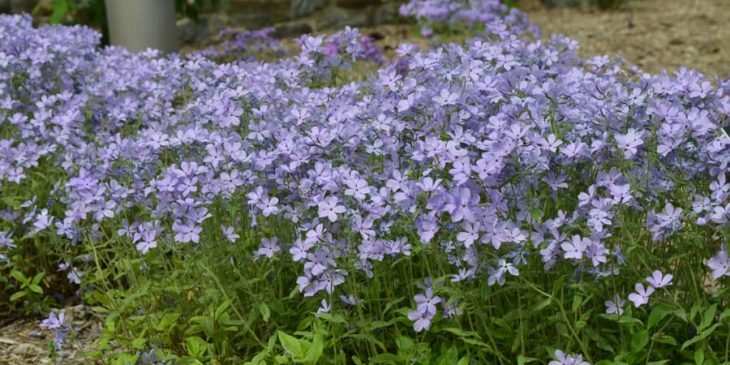 Also called Wild Sweet William, the Phlox Divericata “Blue Moon” has beautiful lavender-blue petals and oblong-shaped leaves. Its petals are wide and they get up to 12” in height. 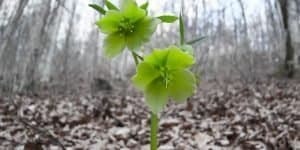 They also overlap one another once they bloom and they are perfect for any type of woodland garden. 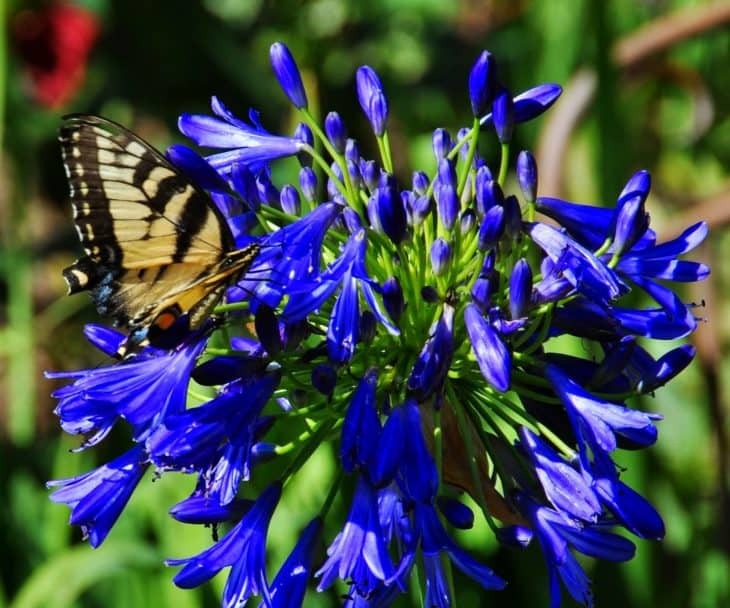 These lovely perennials attract butterflies and have a mild fragrance that people love. They prefer soil that is moist. 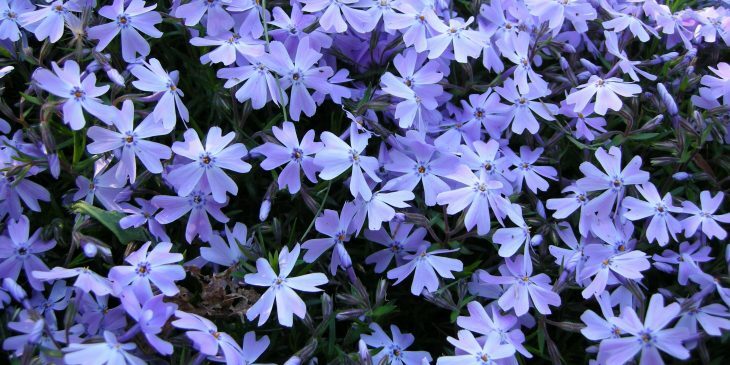 Best when grown in zones 3-9, the Phlox subulata grows up to six inches in height and has attractive petals that come in colors such as reddish-purple, violet-purple, and even pink or white. Butterflies love them and they are easy to grow because they are deer-resistant and even drought-resistant. They prefer well-drained soil and they bloom from March to May. They also make a stunning groundcover. Deep blue in color and with a shape that resembles bells, the Fuji Blue perennials have eye-catching yellow centers and are both pest- and disease-free. They can grow up to 20” in height and they do best in zones 3-8. 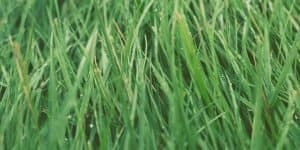 Another interesting characteristic is that the flowers grow well in nearly all types of soil, even soil that is poor in quality. 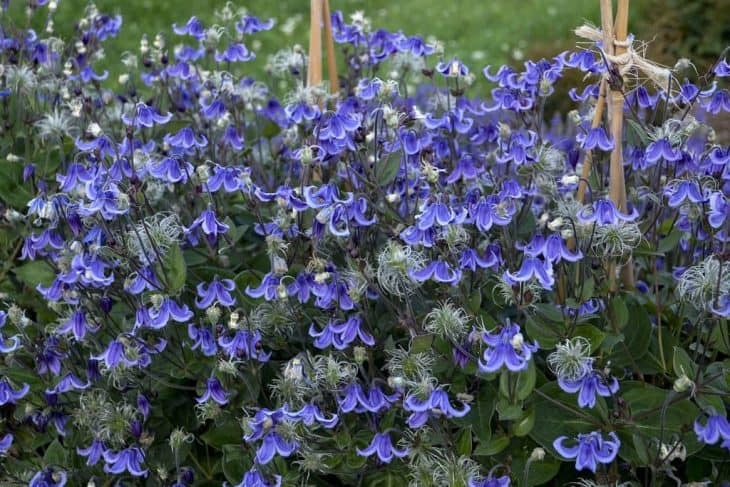 The Fuji Blue flowers are also quite eye-catching and look great as border plants and when placed in containers and vases. The Pulmonaria “Trevi Fountain” are cupped and bell-shaped and they come in a beautiful shade of deep blue. Best of all, they grow to a stately 18” in height and they are deer-resistant as well. These are the perfect flowers for warmer climates because they can take a fair amount of heat and humidity. They are best when grown in zones 4-9 and they prefer partial to full shade for best results. These perennial plants can get quite tall — up to six feet — and its flowers are pale blue or white in color. They do best when planted in full sun and when grown in zones 8-10. 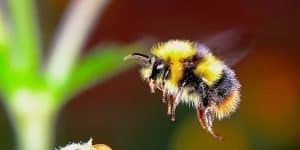 Generally in bloom in June and July, the flowers are very attractive and conspicuous and they are both deer-resistant and attractive to butterflies. They look great in containers and as borders and they can be used as an herb in stews, herbal butters, and even breads. 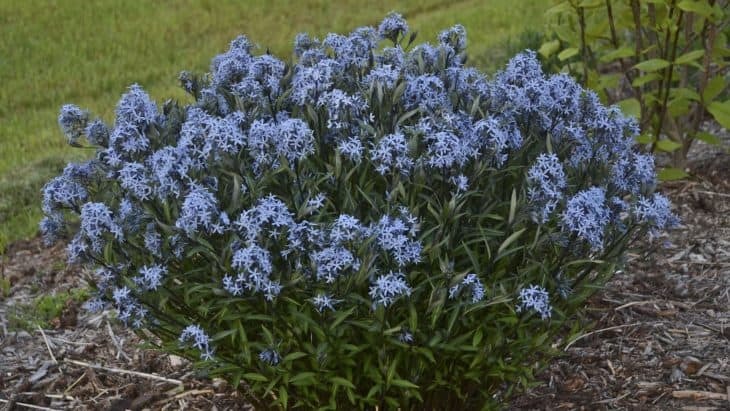 With cup-shaped, dark blue petals, these year-round bloomers get up to two feet in height and grow well in both sun and shade. Hardy even in temperatures as low as 10ᵒ Fahrenheit, they are certain to attract hummingbirds to your home and get up to four feet in width. The Salvia chamaedryoides flower does well in zone 8 and some parts of zone 7 as well. 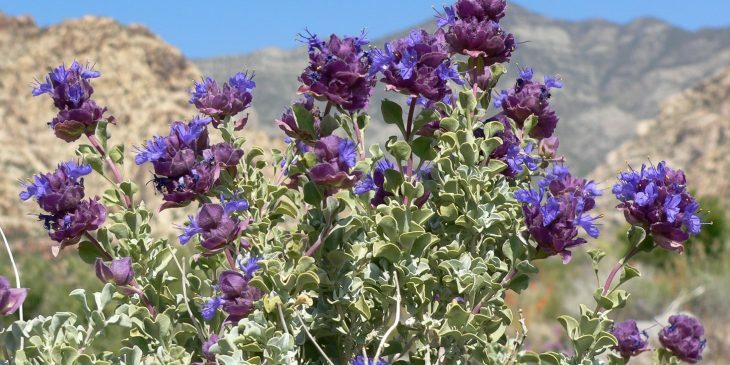 Also called the Desert Purple Sage, this perennial blooms in late spring and has petals that are part cup-shaped and part spiky. They attract both hummingbirds and butterflies while keeping away deer and rabbits. 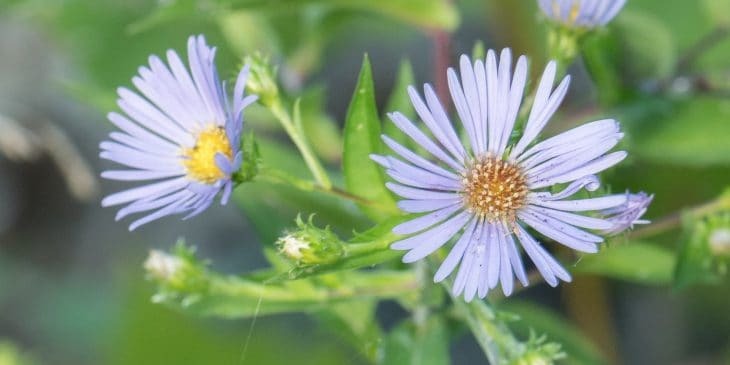 Perfect for pollinators, the flower’s purplish-blue petals are quite eye-catching and they can grow up to 18” high and three feet wide. They are also perfect for those living in growing zones 8-10. Native to the eastern United States, the Symphyotrichum Puniceum does well in a lot of growing zones, in particular zones 2-9. They get up to eight feet high and three feet wide and their petals are long and thin. They are light blue in color, have yellow centers, and are very attractive to butterflies. They bloom in August and September and their glossy green leaves are the perfect complement to their beautiful blue petals. The Spike Speedwell gets its name from its long, spike-like stems and flowers. 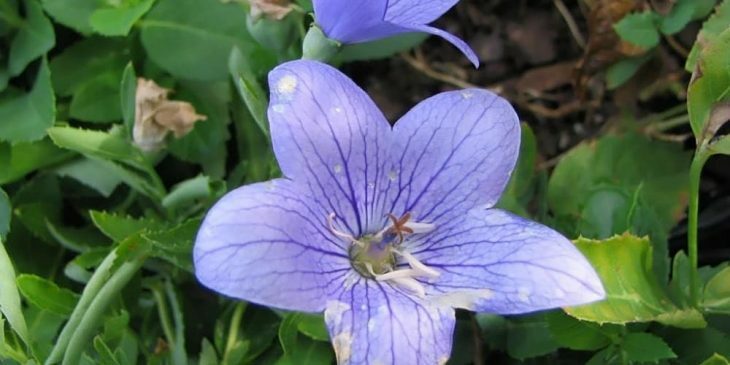 The petals themselves are a beautiful shade of blue and the plant gets up to six inches high. Perfect for growing zones 3-8, the Spike Speedwell is a strong bloomer and blooms all summer long. 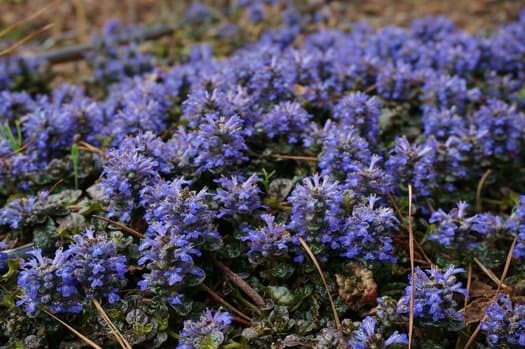 It makes a beautiful ground cover and it is very attractive to bees, hummingbirds, and butterflies. They grow best in full sun and they prefer soil with a pH level of 6.8-7.5. 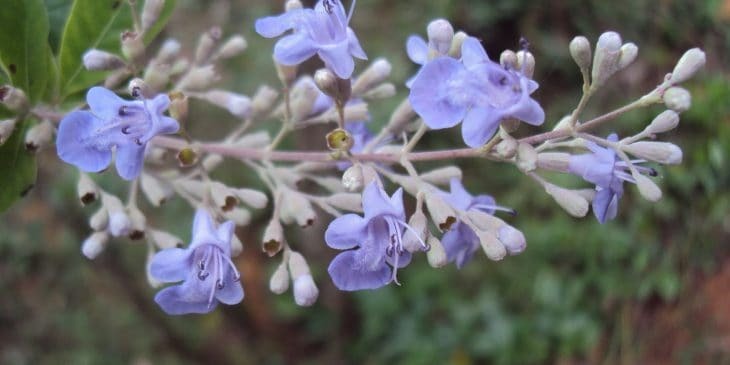 Instead of a flower, the Vitex divaricata is an evergreen tree that can get as high as 65 feet. 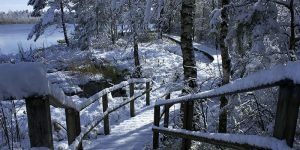 It is often grown and harvested both for its timber and its medicinal purposes. It does best in full sun so that it can grow a lot more quickly. 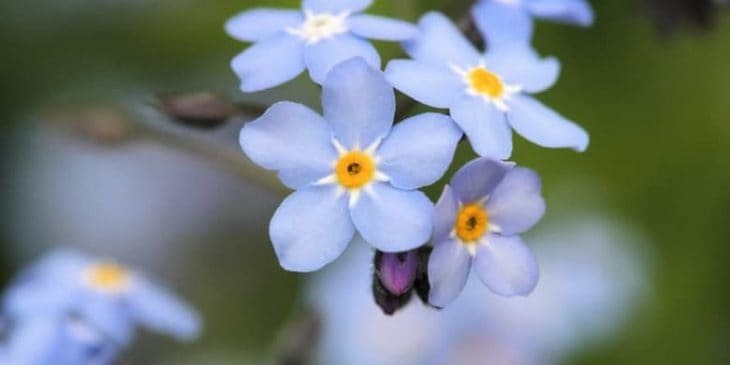 At certain times of the year, small blue flowers can be found on the tree and they look phenomenal with the bright green leaves attached to them. A type of shrub best grown in zones 9-11, the Vitex trifolia is often used as a border plant or hedge. It gets up to 20 feet high and 12 feet wide and it is a very fast grower. 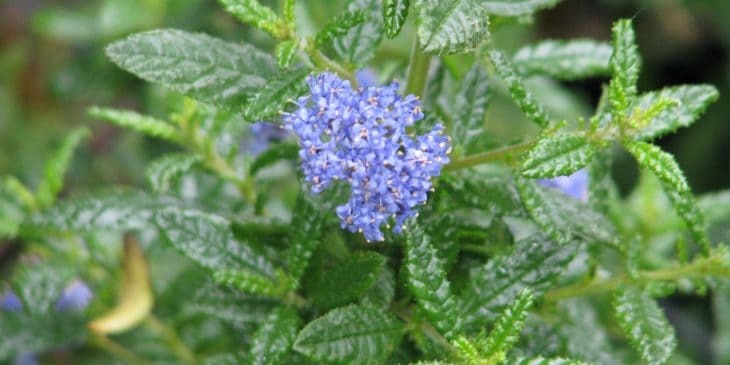 During the summer months, it grows small blue flowers and it does very well in full sun. 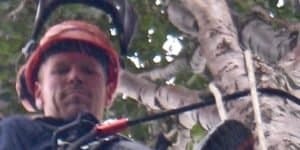 The leaves are variegated and have blades that are two to four inches in length. 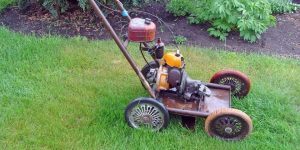 It can handle a variety of soil conditions from acidic to alkaline and even clay, loam, and sand. 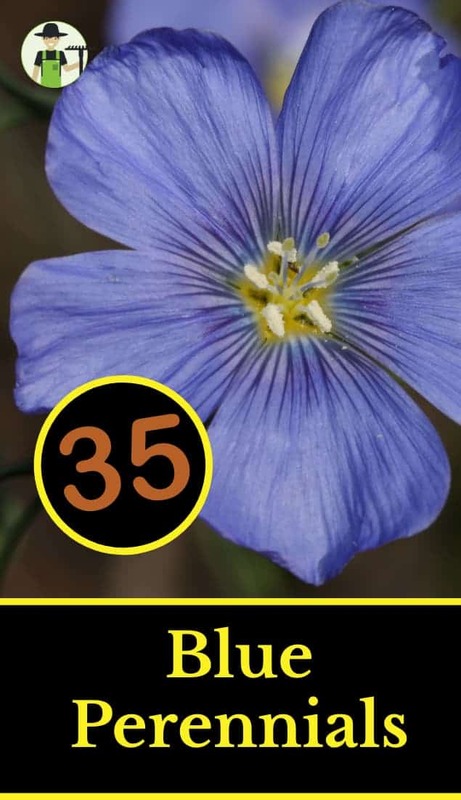 Thanks for reading this list of 35 perennials with blue flowers. A lot of work has gone into compiling it. I hope you have enjoyed it and it helped you in any way.